I delayed writing this because I am not in a celebratory mood. Over the weekend, one of our two cats escaped from the house and hasn’t been seen since. 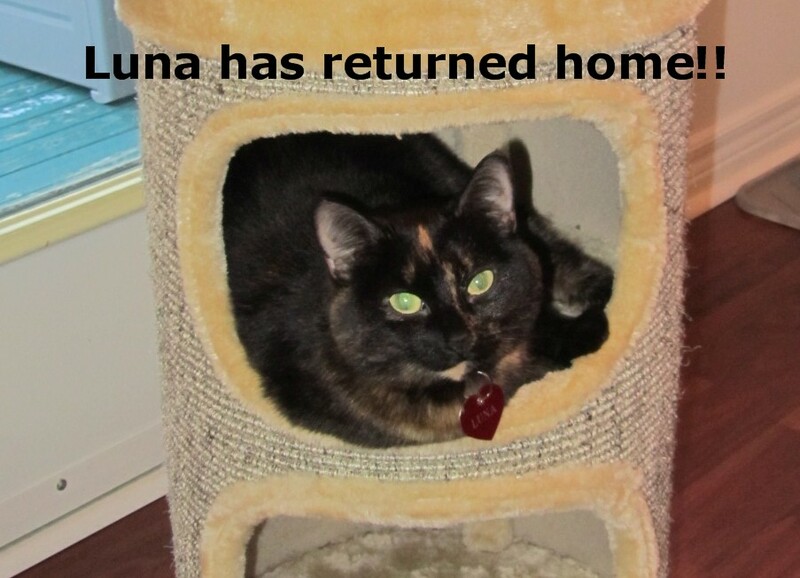 We are so sad to be missing our lovely Luna! It was a long weekend for Canada Day and I took an extra day off to make some progress on my home inventory. I spent about 24 hours on it over 4 days. Thankfully it was raining buckets outside so I wasn’t distracted. I am doing the detailed stuff now, such as jewellery, home décor and keepsakes. I have also made a list of the things that Link didn’t bring along when leaving home, in the hopes that the list will be reviewed and decisions made – not by me! I had hoped to be finished the inventory by the end of June, but it will carry on. Since Canada Day (July 1) was at the end of a June weekend, I’ll note it this month. I always look forward to it because there are fireworks over the harbor and an outdoor concert. The weather was iffy so the fireworks were postponed until next weekend. 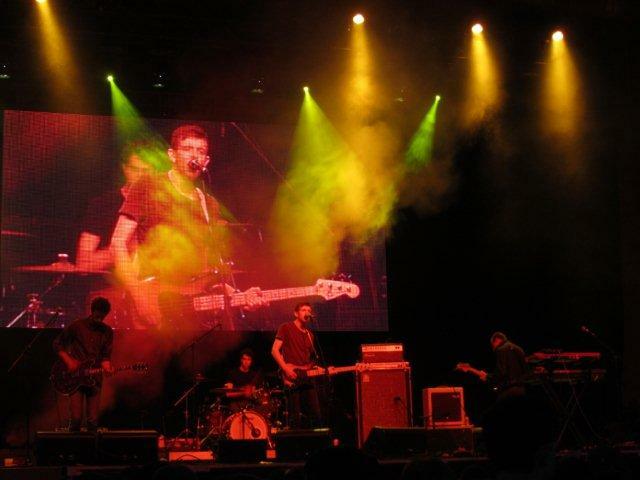 However, the concert went ahead and we got to see Tokyo Police Club with Paper Lions – a cool show –which I would have paid for if it were at a different venue! No other concert news, except we bought tickets to see Joe Satriani in October. Our next show will be Rush in two weeks’ time. I’m glad it’s not outdoors! It’s been a slower month for reading. I finished two books from the end of May: The World Without Us by Alan Weisman (nonfiction), and The Heart Broke In by James Meek (literary fiction). This was a quick read about modern India, chosen by my book club. And I actually made it to the book club meeting, for a change! The book kept me wrapped up from beginning to end because it had a strong plot. The main character had questionable morals (if any). I haven’t been to India, so I don’t know if its critique of the culture rang true, but it “felt” true – the mark of a talented writer. If you like books in which the characters have to deal with corruption – as in The In-Between World of Vikram Lall – then you’ll like this one. It is just a coincidence that I read two books naming tigers in the title! This is the author’s first novel. It is quite distinctive in that it is set just after the war in the Balkans, and focuses on a young doctor delivering medical supplies to an orphanage, while trying to figure out a family mystery. The narrator, Natalia, goes deep into the folklore of the former Yugoslavia, so the book is an immersive experience. Critics loved the book but reader reviews are divided. I found it engaging because of the setting and the family loyalties. I am currently reading How Music Works by David Byrne, an established author who was once known as a member of the Talking Heads. 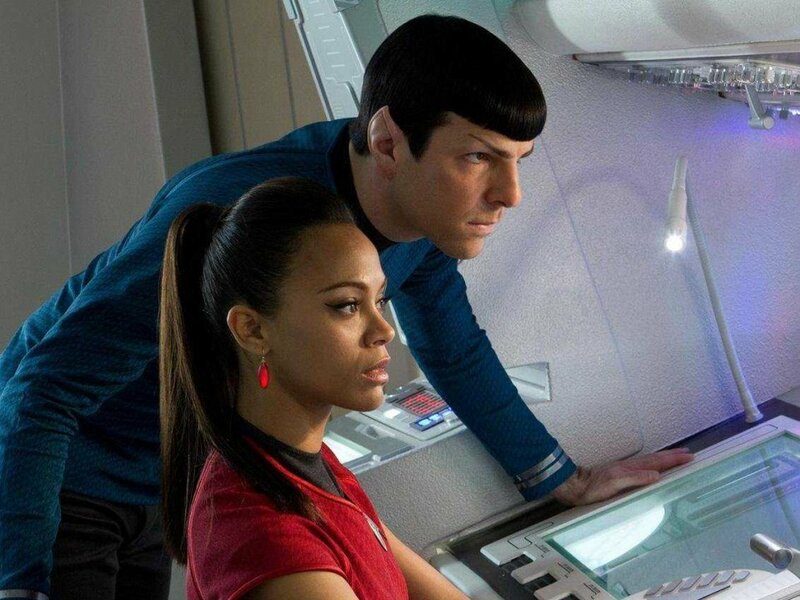 I was out to one movie this month, which was Star Trek 2. I had enjoyed the first reboot movie in 2009. This one focused on its action-filled plot rather than the character development of the last one, which most people might prefer. I thought it was optional, but fun. Otherwise, Rom and I have been watched Metal Evolution on DVD, which, just like it sounds, is an 11-episode series on the history of heavy metal. It’s by Sam Dunn, who also did Metal: a Headbanger’s Journey and Global Metal, among others (yes, I have seen them all!) I also watched the first few episodes of the TV show Community, which someone recommended to me as a fan of Big Bang Theory. I liked it, but won’t be committing to watch the whole series. A couple of special occasions this month: For Father’s Day, we had an extended family meal at a local fish restaurant (by request from Dad). On another weekend, we attended a traditional church supper at my parents’ church, the one I attended as a child. I like to show support for my parents by going to some events that are meaningful to them, and I get to chat with old family friends and neighbours, too! The local strawberries have only just hit the stores, so I will be gorging on them for a couple of weeks. Finally, I am celebrating my new volunteer job as a treasurer! I have never taken on this role before but since I like calculations, spreadsheets, and reports, it is just right for me. And the budget is only one-sixth the size of the one I manage at work! Now I am hoping there will be a little window in our onslaught of rain that we can call summer! I’m sorry to hear about your cat – have you put out posters in the local area? I have an interest in the Balkans, so I may add that ‘Tiger’ book to my reading list. I was divided on Community too – I just don’t get the depth I seek in TV shows in a ’30 minute’ TV show (a lot shorter in reality). Lastly, it’s probably been a month that I’ve been flirting with buying some concert tickets. Naturally this post prompted me to action – and they were sold out. So annoyed with myself – I’m usually so proactive! Grr! I have dealt with a couple of sold out shows lately due to inaction, so I am trying to pay more attention to concert listings. So sad about Luna. I really hope she makes her way back home to you soon. No news or info from neighbours? 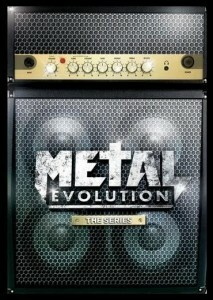 “Metal Evolution” aired here recently on free-to-air TV. I had to record all 13 episodes for our music department at work, so we have it in our AV Collection. Have had it on “the list” to watch for the past 2 months. I thought it would be a good overview for someone like me who doesn’t have a lot of background in the subject. Good luck with the treasurer’s job – I’m sure you will be perfect for it and enjoy the role! Fiona, I have to ask, were there actually 13 episodes of Metal Evolution? There are only 11 in the DVD set. I heard that episodes of “black metal” and “death metal” were being crowd-sourced because the sponsoring network didn’t want to fund them. Would love to know! Sorry, my mistake – just looked it up and we only have 11 episodes in our collection. I’m not sure where I pulled the figure 13 from (might have seen it on the series guide when we started recording?) How interesting though that they are trying to crowd-source another 2 episodes! Oh Noes! I’m sending my best “homing instinct vibes” out into the universe in the earnest hopes that Luna will come home. That’s one of my biggest fears. But there’s always hope. When I was a kid one of our cats disappeared for over a month. We were pretty sure that he was a gonner, but then one day he just magically came home! We never found out what happened to him, but he didn’t seem hungry or dishevelled, so we think that maybe someone thought he was homeless and “adopted” him for a month or so. Anyhow, I’m sure hoping she finds her way home soon. Have you tried Craigslist? Lost Cat Update: No news, unfortunately. We have postered the neighbourhood and put ads on Kijiji and the local Facebook group, as well as speaking to our surrounding neighbours. Have contacted Animal Control and the SPCA. Still hoping for a safe return. Gee, I really hope Luna comes home soon. 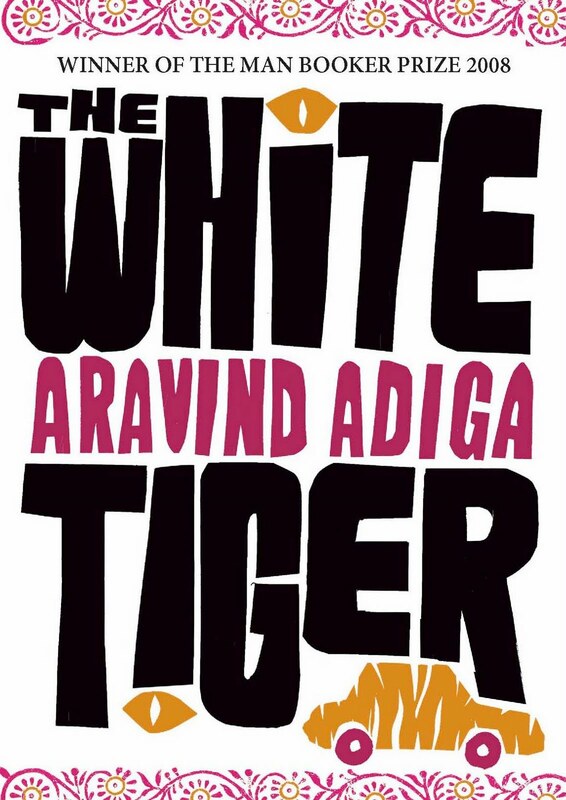 I read The White Tiger a little while ago, and enjoyed it too. 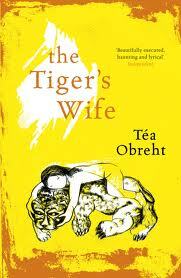 I’ve heard a lot about The Tiger’s wife which won the Orange Prize award, so I wish to get to it some time as well. I read that the author is a very young and talented novelist. 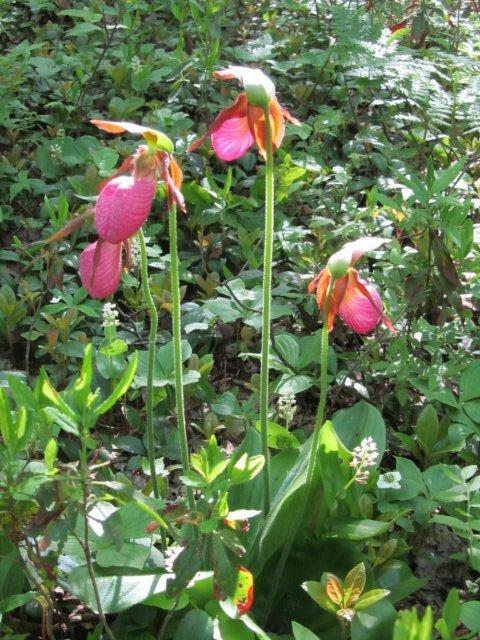 The lady’s slippers are so lovely. If only I could see a wooded hollow full of them. Thanks very much, Vera. I think it’s because my blog is unfocused and I ramble about different things, LOL! I’m so sorry to hear about Luna and hope she makes it home soon. I’ve read The White Tiger and really enjoyed it too, and I absolutely love Community 🙂 My sister got me into it after a break-up and it had me laughing from the beginning. You always are reading such interesting books and often ones I haven’t heard about – gives me great recommendations. Sounds like a lovely month except for you poor lost kitty. I am sad about Luna, but otherwise it really was a good month. HI Dar – I’m sorry to hear about Luna…I hope she turns up safe and sound. Thanks; I am still hoping. I hope Luna returns soon. It is my worse fear also. She may be waiting close by – cats are funny that way. I had a cat escape for a few days and I ended up finding him under the back deck. The only way I could get him to come out was by shaking his food over and over. He was petrified and squeezed up into the far corner! The way I found him was through the neighbour’s cat who I caught a glimpse of stocking through my yard, and I thought that looks weird, so I followed him. He stopped at the edge of the deck and just stared. I peered in and there was Algernon wet and cold (he is an indoor cat). I have read and liked ‘White Tiger’ too. I am currently reading Inferno by Dan Brown which is not usually my style, but thought it would be a light summer read (after hearing the interview on CBC ‘Q’). Too soon to say, I think it may be the same as the Da Vinci Code. What I do find very interesting is the discussion in the book on the world’s population growth and the diminishing means of supporting that exponential growth – very scary. Hi Lisa, I keep checking the same places close by with my bag of cat food rattling! The only book of Dan Brown’s that I have read is Da Vinci Code, but I have a copy of his older novel Deception Point at home for future reading! I am always of two minds about population growth. On one hand, the world has more people than it can support. On the other, we don’t have enough people in Canada to keep social benefits afloat for future generations! Cat Update: Luna has come home after 5 days away! She showed up at the back door and was lured in with food. She was clean and dry but hungry, and still had her collar and tag on – was probably hiding under a deck nearby. We are massively relieved! I’m sure she had an adventure. If only she could tell you about it. Yeah! That is great news.